Coffee Bar Hire Menu and Information Page for Something Brewed. Espresso, Filter Coffee, Tea, Cold Brew Coffee, Iced Tea, Lemonade. 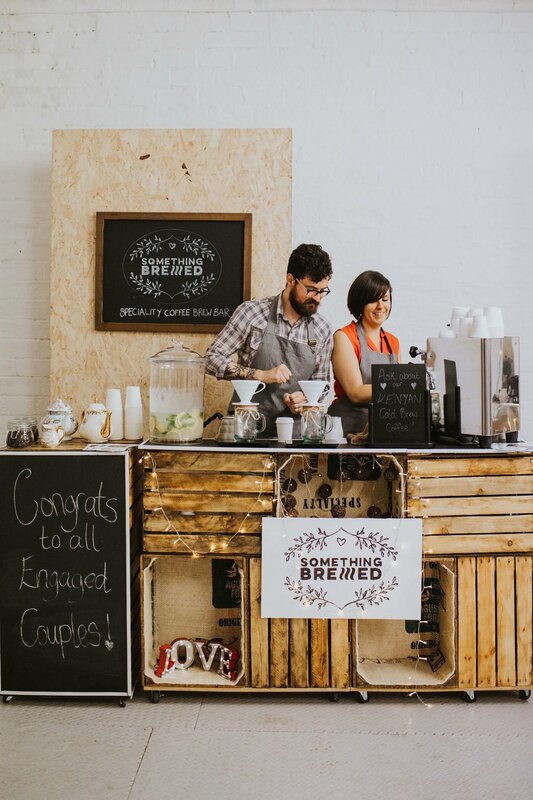 Mobile Coffee Bar & Afternoon Tea Caterers for hire: Weddings, Corporate & Events using Speciality Coffee. Designed to slot effortlessly into any venue from the small and intimate to the grand and opulent. We (Gill's dad) hand built our cart with design in mind. Made from up-cycled vintage apple crates it is fully functional and hides all our inner workings, leaving room for you to personalise it! Inside or outside catering, all we require is access to 2 plug sockets and a tap to top up our water tanks and we are good to go. We make our own iced tea using tea with natural peach flavours creating a beautiful, refreshing -not-too-sweet- natural iced tea. We also have a vibrant Red Berry recipe too! This is an exciting, modern addition to your coffee selection. Using seasonal beans, this iced coffee is brewed for 18 hours in cold water and filtered through paper to extract a beautiful, smooth and fruity coffee. 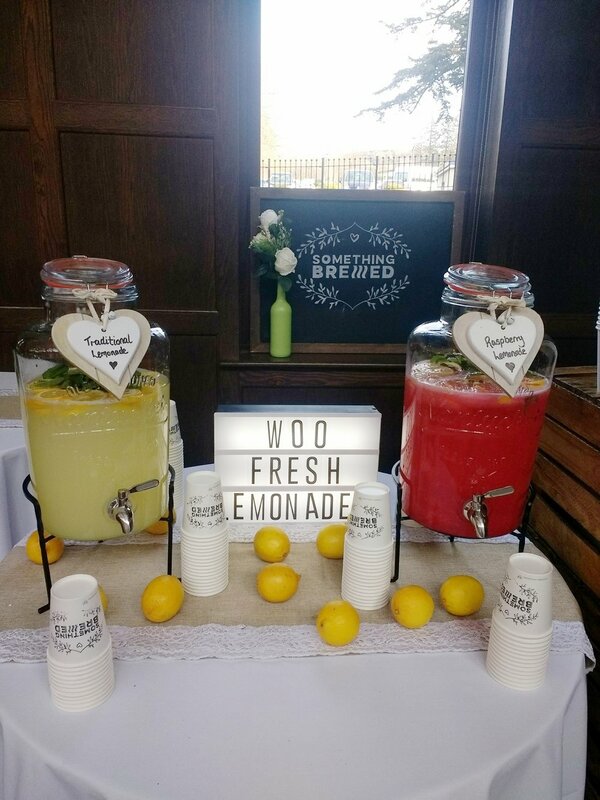 Our Lemonade is home made by squeezing lemons and blending them with sweetness and mint leaves to create a still and traditional style lemonade - truly a favourite for children and adults alike! Our Baristas are highly trained to speciality coffee standards - expect beautiful latte art, delicious well prepared drinks and of course, a passionate, friendly service. We love chatting to your guests and aim to provide them with the professionalism and extra special service they deserve. 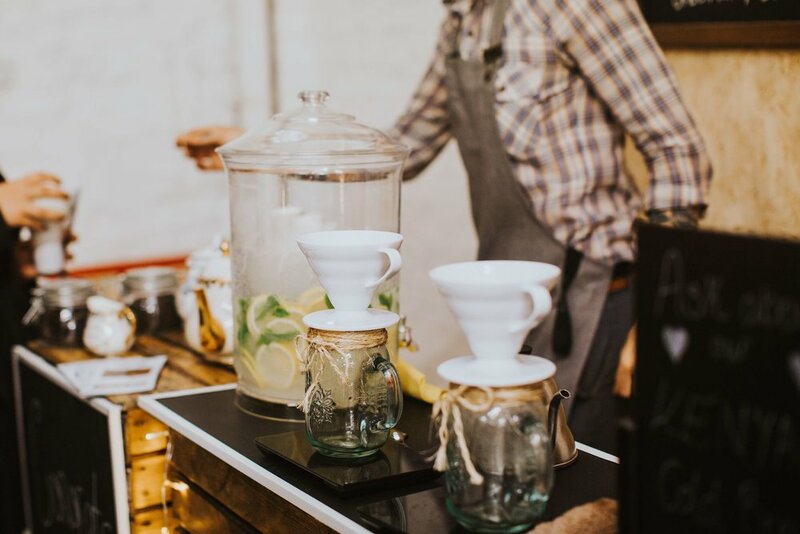 We don't charge your guests per cup, meaning they can come back to our coffee bar as many times as they like during the duration of our service. What could be better than that?